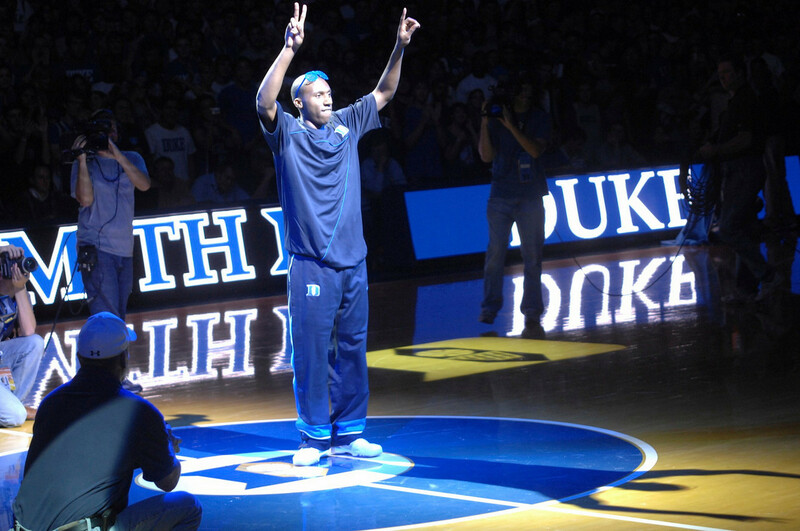 The Duke basketball program is used to bringing in highly touted freshmen. In any given year, odds are that Duke has landed at least one of the top five high school players in the nation. The Blue Devils have been represented in every single McDonald’s High School All-American game since 1993. Last season, super-freshman Kyrie Irving needed only 11 games to take the NCAA by storm and earn the #1 overall pick in the draft. But although he’s stepping directly into the shadows of Irving, I think we all can agree that there hasn’t been more hype for a Duke freshman than for Austin Rivers. Rivers’ story is already well known. The Winter Park, Fl. native is the son of former NBA guard and current Boston Celtics head coach Doc Rivers. Doc spent the first nine of his fourteen NBA seasons as a player with the Atlanta Hawks (he also played for Los Angeles Clippers, New York Knicks, and San Antonio Spurs.) Living up to a father who played in the NBA is no easy task (and not an uncommon one in the Duke program, just ask Seth Curry, Gerald Henderson or Chris Collins). But being the son of a former NBA player and one of the top coaching minds in basketball means much more than that. 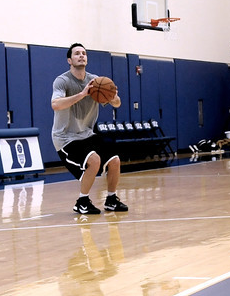 Not only do you have to be physically gifted, you’re expected to have excellent basketball instincts. 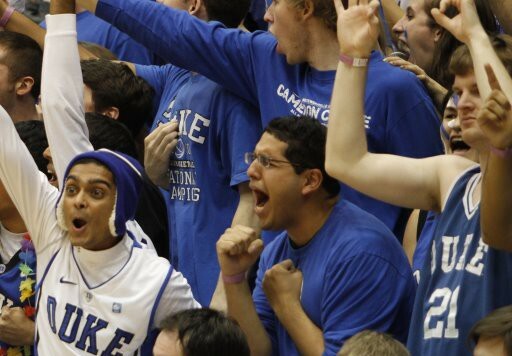 Every fall at Duke is special thanks to the arrival of 1700 new Cameron Crazies, but more importantly it means the arrival of a handful of new campus “gods”: the freshman basketball players. As one of the most heavily hyped freshmen in the country, I can assure you that it didn’t take very long for Rivers to attain celebrity status on campus. Not only had we heard our favorite college basketball analysts raving about this kid and seen endless highlight reels of him on YouTube (my personal favorite being this one of him crossing up 2010 NBA #1 overall pick John Wall), but we were able to catch a glimpse of him playing with the rest of his Blue Devil teammates at the Friendship Games in China and the UAE over the summer. When the season finally started, however, the “Austin Rivers legend” and the 18 year-0ld player were not exactly identical. 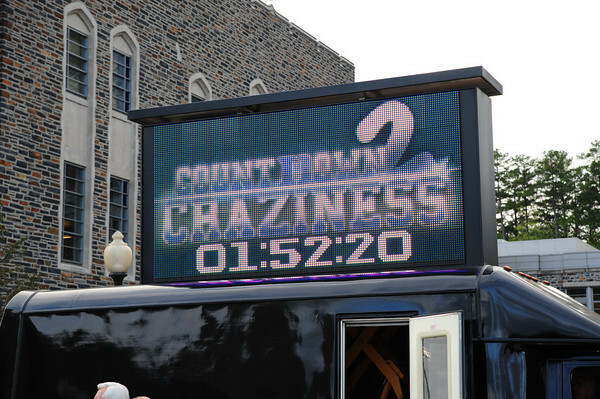 Our first glimpse of Rivers at Cameron was at Duke’s annual Countdown to Craziness. Though the general excitement surrounding the event was the kick-off to this team’s run toward a fifth national championship, there wasn’t a soul on campus that didn’t walk into Cameron that day wondering what this kid could really do. Austin was well received by the Duke crowd- as the first player introduced, he received the loudest ovation of the entire evening. Rivers came out on fire, knocking down shots from all over the floor as his White team jumped out to a double-digit lead by halftime. In the second half, the wheels started to fall off a bit. Rivers’ shots were not falling and he became visibly frustrated, affecting his play on both ends of the floor. Meanwhile, the Blue team led by veterans Seth Curry and Andre Dawkins came storming back and eventually took home the victory. Another month of hard work and fine tuning went by, and the Blue Devils were finally ready to start their 2011 season. Even in just 11 games this year, you can examine Rivers’ season in three distinct phases. Here’s a look at Rivers’ performances to date, game by game. As you can plainly see, the first few games of the year for Austin Rivers didn’t go so hot. 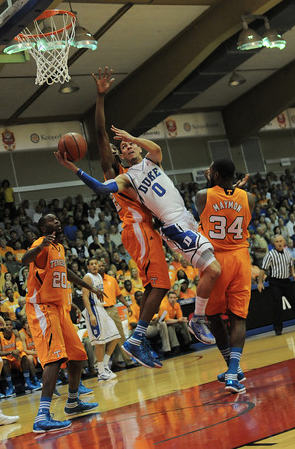 In fact, he looked downright out of sync with the rest of the Duke team. 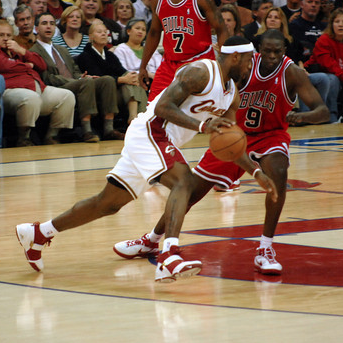 Part of Rivers’ struggles in the opening games of the season resulted from increased pressure for him to step into his team’s vacant role of point guard. When Austin was bringing up the ball more often, he felt more pressure to create and facilitate the offense. This combined with a slightly naïve sense of invincibility left over from his high school playing days resulted in a lot of forced shots and turnovers, and the Duke offense struggled. Following a dreadful performance at Madison Square Garden against Michigan State, Rivers finally started to slow down and trust in his teammates. In turn, he allowed other players to set him up for open looks and made sure not to waste his opportunities. The point guard responsibilities shifting toward Seth Curry and Tyler Thornton only made matters easier for Rivers, who was able to roam the perimeter in search of open threes when he was off the ball and split double teams to drive down the lane when he was on the ball. However, Rivers’ transformation into the offensive force that he now is was not complete. There were still moments where he would revert back to his old bad habits and force a bad shot or turn the ball over. This second phase of his season was still extremely important, as Duke was able to get quality wins over difficult opponents like Michigan and Kansas. Duke’s drubbing at Ohio State marked the last game of this phase. Rivers put forth one of his better offensive outputs of the season, netting a career-high 22 points while pulling off some dazzling drives. The third phase of Austin’s season was an intriguing one. 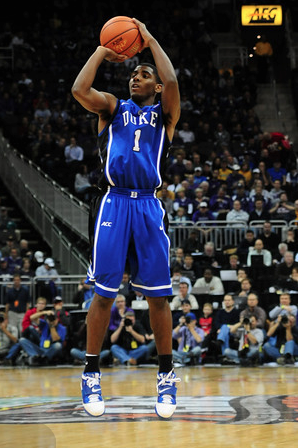 Rivers stepped back from his role as the team’s primary scorer and once again the Blue Devils scored by committee. 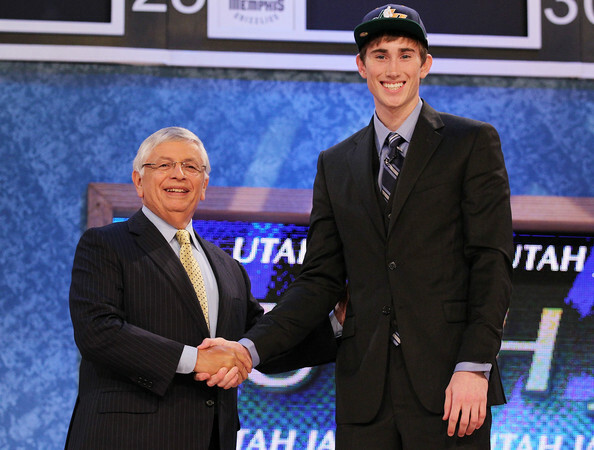 However, this is when he began to play his best basketball of the year. It seemed as though the less Rivers had to do, the more he could do. In Duke’s past three games, Rivers hasn’t had to take as many shots, but has converted as a higher percentage and has not stuck out as an individual entity wearing a Duke jersey, but rather a contributing member of Duke’s fluid offensive set. This is a role he has thrived in- his scoring has not dropped whatsoever and he is contributing more to the team. I’ve watched every single Duke basketball game this year and wrote about most of them, and I’ll still contend that the Austin Rivers moment that got me the most excited had nothing to do with a steal, dunk, or 3-pointer, but rather when I got home from the Colorado State game on December 7, checked a box score and realized he scored a beautifully quiet and efficient 17 points, and then rewatched the game and witnessed how incredibly he flowed within the offense for the first time all year. 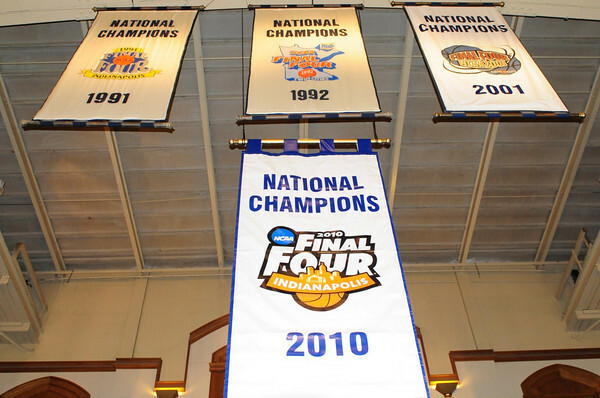 Our mission at Crazie-Talk is to bring you all aspects of Duke basketball: the good, the bad, and the Crazie. Ironically, that is exactly the way to sum up Austin Rivers’ young freshman season–the first part was bad, in the second part he became the focus of the offense and went a bit Crazie (not necessarily in a good way), and the third part has been very, very good. Let’s take a look at Austin’s averages from his three phases of this season, “The Bad” being the year’s first three games, “The Crazie” being from Davidson to Ohio State, and “The Good” being Duke’s past three games. So which of these would you rather have? Obviously we’re getting rid of Austin at the beginning of the year where he wasn’t playing well overall, but I’d rather have the Rivers that plays fewer minutes and shoots less, while making more, and doesn’t disrupt the flow of the offense. It sounds almost like a no-brainer. Just like last season, the Blue Devils enter the ACC regular season headlined by a stud freshman as their leading scorer. Unlike last season, this year’s stud freshman is not sidelined by an injury that will cost him 20 or so games. Just like any first-year player, the ACC season will be another transition for Austin Rivers, so don’t go jumping off the bandwagon if he has a tough game or two, especially as he gets accustomed to the intensity of ACC road tests. But over the course of this young season, we have learned a lot about who Austin Rivers really is–he is developing, he is learning quickly. He has become an integral member of this offense and he is earning the hype. At this point in his freshman year, Rivers is nowhere near the “finished product” that Kyrie Irving was in December, but he is improving at a scary pace. And we get to watch. We see these glimpses of greatness that a year ago were only reserved for our computer screens on YouTube, as game by game the greatness begins to take over. It will be something special to witness.